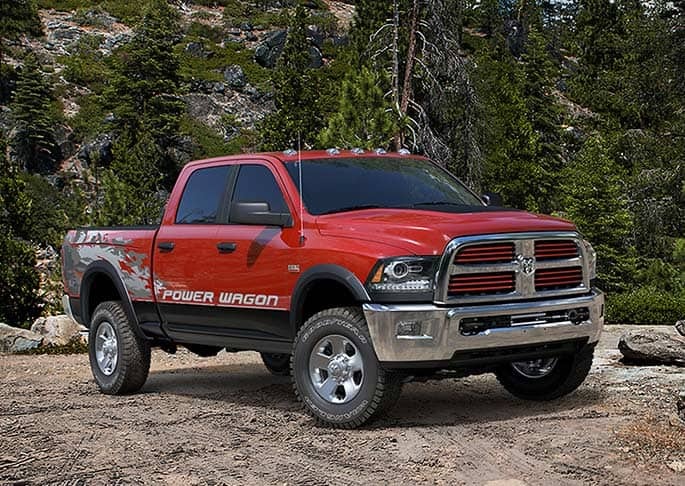 Let us introduce you to the 2016 RAM 2500, a heavy-duty yet stylish truck made to exceed working needs. The manufacturer's suggested retail price starts at $31,485, and there could be a destination cost of $1,195. The 2016 2500's estimated arrival date is in 2015's fourth quarter. 2500 pickups makes themselves available in Mega Cab, Crew Cab and Regular Cab make-ups, and available trims for the 2016 2500 include Laramie, SLT and Tradesman. These trucks are put together at FCA's Saltillo Assembly Plant in Coahuila, Mexico. Continue reading to learn more about the great 2016 RAM 2500! You may have a six-speed automatic transmission, but a six-speed manual is available. The automatic transmission makes available auto-manual, and all transmissions are equipped with overdrive. You may get up to 383 horsepower @ 5,600 revolutions per minute (rpm), and 400 ft-lbs of twist @ 4,000 rpm with this truck. You might power the 2500 through cruise control to help you to your destination without you having to steer on straight roads, such as interstates. The truck has front and rear stabilizer bars, and every 2016 2500 may turn in a circle with a 45.1-foot turning diameter available. The truck's tailgate, trailer hitch and trailer wiring will help you haul your equipment better, and the truck will haul up to 17,980 pounds worth of equipment behind it. You will step 7.4 inches off the ground into this fabulous truck, which may have an 8.2-foot bed. There is a rear step bumper to assist you with getting into the pickup bed. 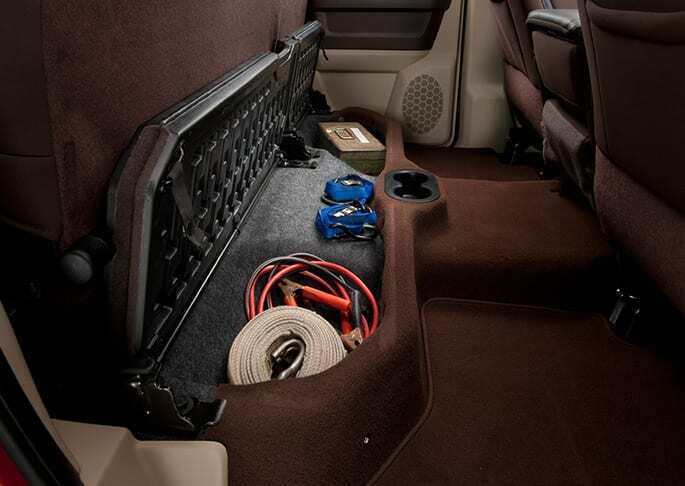 Three interior and twenty-eight exterior colors exist to choose from for the truck. The earlier-mentioned cruise control has buttons--on a tilt-adjustable steering wheel to make it easy to use them--to drive the truck to the destination. A compass makes itself available for each 2016 2500 to guide you to your destination. You can put a USB stick in the truck's USB port for listening to music you may not be able to find on one of the vehicle's AM/FM radio stations. The front passenger may have a vanity mirror, and back passengers can enjoy the benefits of an armrest. You will have low washer fluid warning to ensure you have enough fluid to keep the front window clean. Is it possible to get a ten-speaker surround-sound audio system with this truck? It is with its various Laramie trims! Can I get a rearview camera with this truck? It is available for all 2016 RAM 2500 trims. Where may I get directions to you? 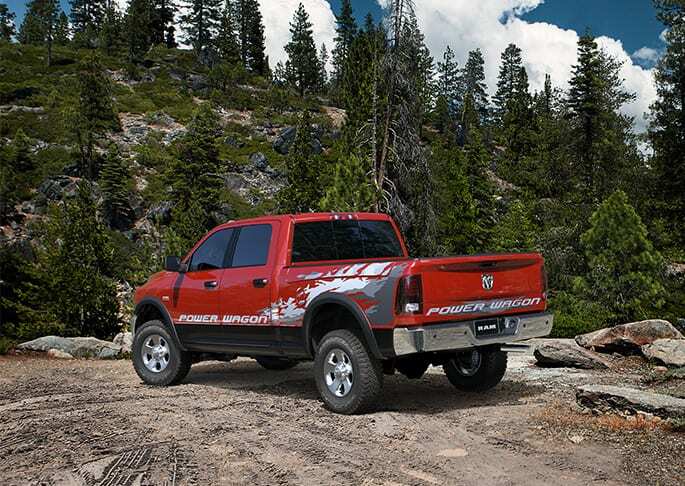 The 2016 2500 offers its safety features! Tire-pressure monitoring will inform you when you should fill up your tires with air. You will have front head and dual-front side-mounted airbags to help protect occupants if in a crash. The front seats offer adjustable head restraints. The truck will have a post-collision safety unit as well as an engine immobilizer. The headlamps will turn on when dusk is beginning to settle. ParkSense park assist systems may help you out when parking, and you will have a ParkView Back-up camera to help you when backing out of or into driveways and parking spaces. You will have 4-wheel anti lock brakes (ABS), front disc brakes and rear disc brakes. Power-adjustable pedals make themselves available. Come see our 2016 RAM 2500 inventory to further learn about how this truck may be for you!